On March 26-28, we organized the meeting of the Working Group ”Future Workshop”, held in Tambov. Among the attendants of the event were the Chairman of the Board of Directors of CJSC ”Rosbalt” N.S. Cherkesov, the Assistant Chairman of the board of Directors of JSC "Gazprom" A.V. Mazilov, the Chairman of the Russian Coordination Committee of the Forum V.A. 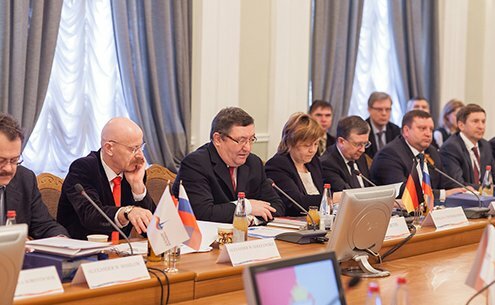 Zubkov, the Chairman of the German-Russian Chamber of Commerce Michael Harms and others. We ensured transport services for participants, their accommodation and meals, as well as the cultural program during the event. The meeting was held at the Forum at the traditionally high level and covered the economic development, educational training, funding and foreign markets for small and medium-sized Russian businesses.